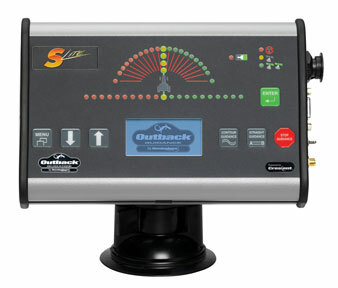 Outback GPS Guidance uses advanced digital technology. It takes a back seat to no other guidance on the market. It's dependable and extremely accurate. All it takes to run the Outback S2 is approximately 12 volts DC (1 amp). Outback S2 is available with WAAS and L BAND correction. Both work fantastic for guidance. 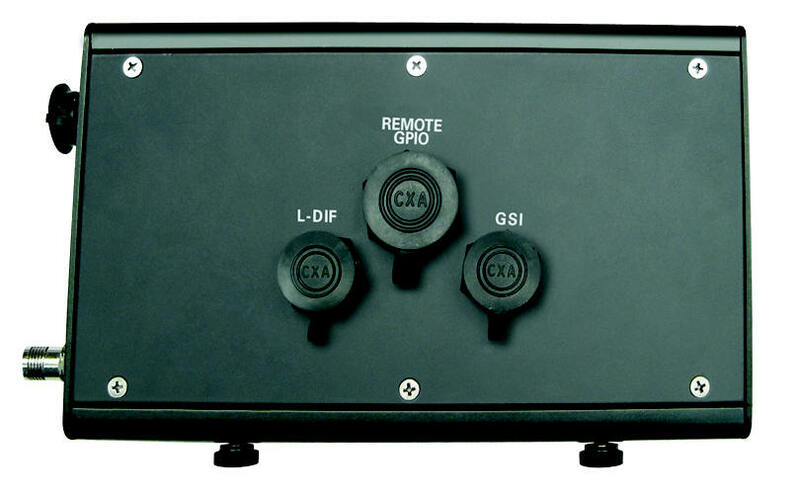 The GPS and correction signals come from satellites so there are no black-out areas. WAAS is available in most of North America and is free. L BAND is available with your own BaseLineHD tower. To do straight guidance, press "Straight Guidance" button. After showing the Outback S2 where to start and which direction to go, it takes over and begins guiding on perfectly straight, parallel passes spaced exactly the width entered during setup. In straight mode, the passes are predefined. Even if the driver gets off on one pass, the mistake won't be repeated on the next pass. The operator can do straight passes in any order, skip some and come back if desired. As the driver moves from one pass to the next, guidance snaps to the next pass automatically. To switch to contour guidance, press the "Contour Guidance" button, Unlike straight guidance, no predetermined lines are established. Contour Guidance guides only off the "last pass". So on the first pass, the Outback S2 isn't guiding at all, just recording movements. Once the driver turns around or comes close to a previous pass, it immediately begins guiding along that pass. The Outback S2 will guide from any previous pass no matter if it was done in straight or contour mode. "Time for Lunch!" - Oh those details. So we need to leave the field for some reason. Just press the "Stop Guidance" button and then select "Return Here". This saves the job and the last point. The driver will be able to guide back to the last point and then resume the job with everything in memory just like it was left. Then when the job is finished press the "Stop Guidance" button. Then choose "Erase Memory". The memory will be erased and the Outback S2 is ready for the next job. The Steering Guide looks ahead. 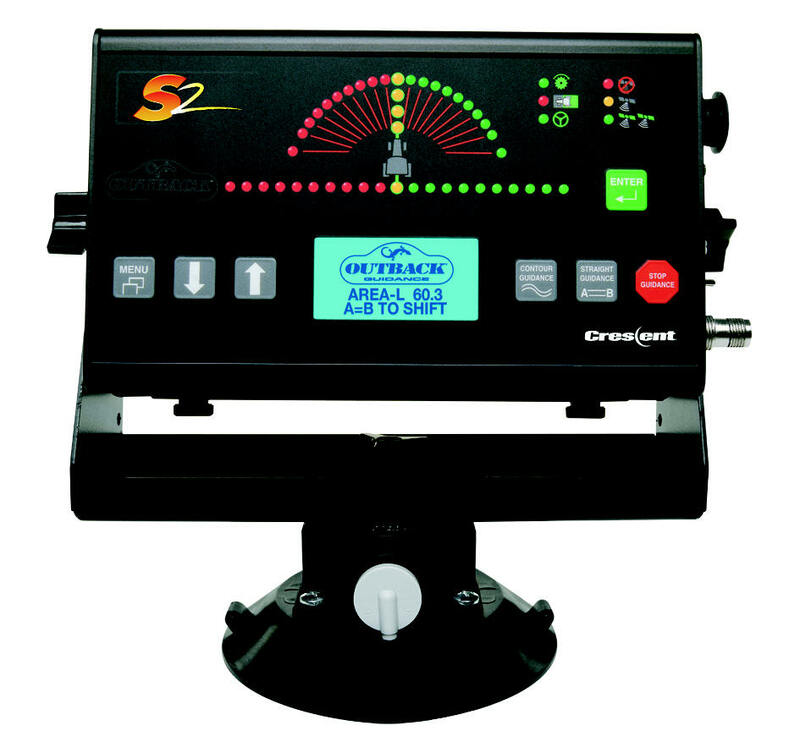 Unlike a light bar, it provides heading information rather than course deviation. It's true steering guidance. Match the nose heading of the tractor to the Steering Guide and you're set. This "look ahead" steer instruction is much easier and more accurate than a light bar and makes anyone a better driver. The Outback S2 unit mounts right behind and above the steering wheel. Choose a place on the cab window, wipe with a damp cloth and mount the Outback S2 with 3 or 4 strokes of the vacuum pump. The bracket can be positioned or rotated in almost any configuration desired.